Ahead of the Lok Sabha elections, the BJP has announced its first list of candidates which include some prominent and stalwart leaders of the party but L.K Advani’s seat of Gandhinagar has been granted to Amit Shah. 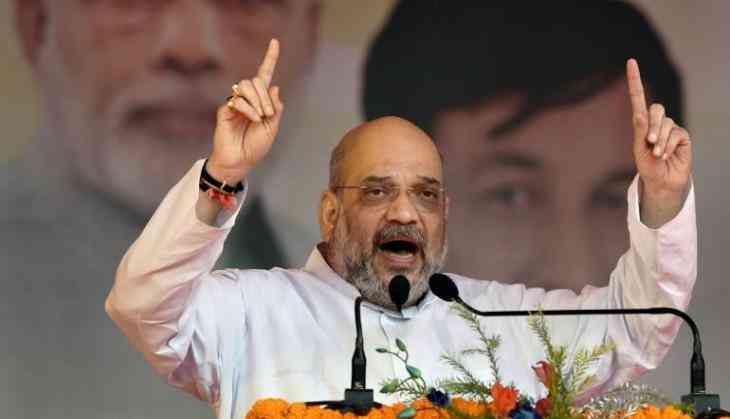 Current parliamentarian and BJP’s founder member Lalkrishna Advani was elected from the BJP’s safe seat of Gandhinagar in Gujarat but this time around, BJP president Amit Shah will be contesting the Lok Sabha polls for the first time from the seat. Once compared to India’s first Home Minister Sardar Vallabbhai Patel, veteran BJP leader Advani has held the Gandhinagar constituency since 1998, in last five consecutive elections. BJP, which is facing the anti-incumbency across the country, considers Gujarat’s capital Gandhinagar as one of the safest seats to contest the polls and fielding Amit Shah is a clear sign to bring him in the lower house of the Parliament as soon as it gets. The Congress, which seems to be racing ahead of its past performance as the opinion polls show, has taken a jibe at the ruling BJP and has asked the voters to choose their government with full wisdom. The Election Commission has announced the polling dates to begin from April 11 and the counting would take place on May 23. The model code of conduct is under force and the political parties have begun their battle of prestige for the upcoming polls.